Several indoor and outdoor plants will bloom all year long in California. Outdoor plants bloom year-round in warmer parts of the state, while others will need to winter inside. You'll need to give the plants optimal care, providing proper amounts of nutrients and water so the plants can stay healthy enough to produce year-round blooms. The large 5- to 6- inch wide blooms of the deciduous hibiscus plant bloom all year long in the more temperate areas of California. The plants do well when planted in gardens or large containers. Hibiscus can survive near a sunny window should cold weather require you to bring them inside for brief periods of time. Grown in optimal conditions, the plants can grow to the height of a small tree at 15 feet tall. Most backyard garden specimens tend to top out at about 6 feet and can be trimmed into a hedge. 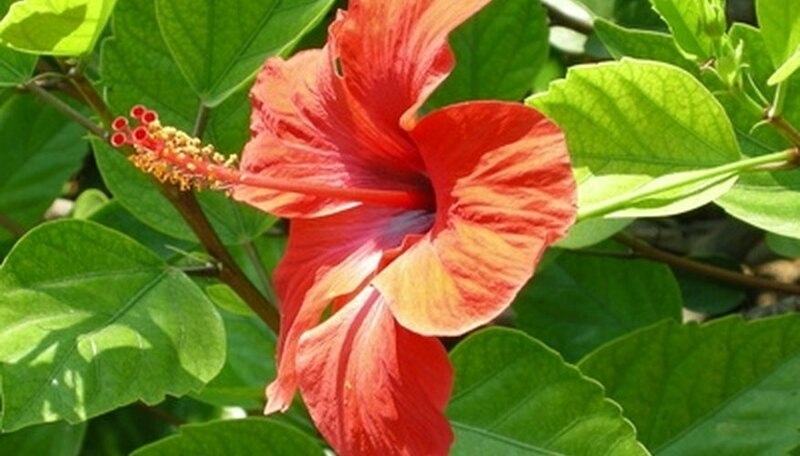 The flowers of the hibiscus can be found in shades of red, orange, yellow, pink, peach and lavender. In areas that do not experience frost, the plants can bloom outdoors all year long. 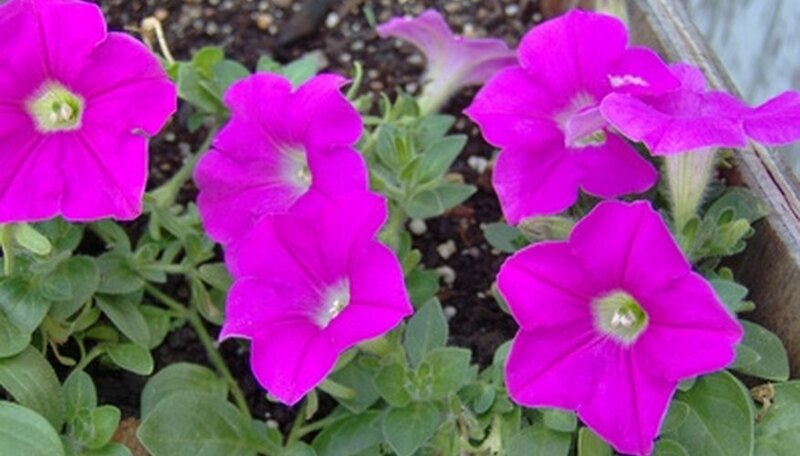 The versatile petunia will provide color all year long in the more temperate climates of California. It does well outdoors during spring, summer and fall. The petunia is extremely tolerant of cooler weather but will die off if hit with direct frost. Petunias do not winter well indoors. The plants are sold in various parts of the country as both annuals and perennials. 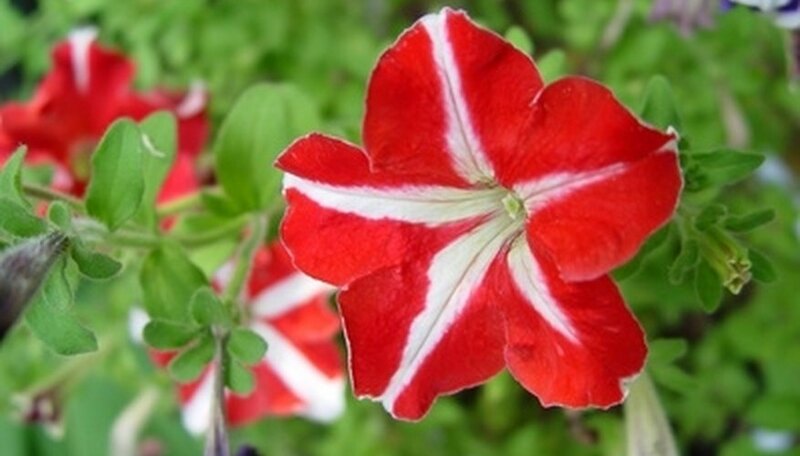 Petunias produce a trumpet-shaped flower available in a wide variety of colors. According to the National Gardening Association, purple flowering varieties are the hardiest of all the colors available. Plants are available in the classic dense bushy shape or in new trailing varieties. In areas of California where winter visits each year, a good alternative year-round bloom may be found in the African violet. These plants originated 100 miles south of the equator and thrive in areas where consistent temperatures remain between 60 and 70 degrees Fahrenheit. With proper care and consistent amounts of filtered light, the African violet, which can be found in a variety of colors, will produce flowers all year long. They do best when placed in north- or east-facing windows but may need to be moved during hot months when the light from those directions may be more intense. 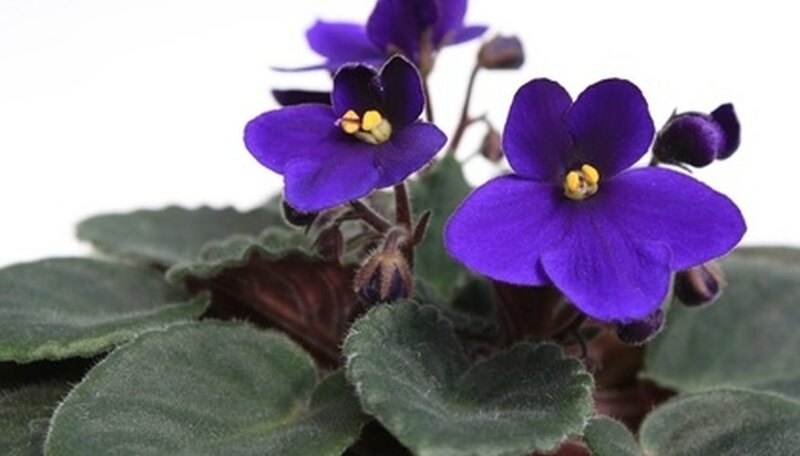 In temperate areas of the state, African violets have been known to do well on sheltered porches or patios where filtered light and fairly consistent temperatures are provided. Plant the African violets in clay pots. They do well when root bound and are easy to propagate. Which Outdoor Plants Grow Best in Oceanside, California?